"Even though he missed, that totally gets a 'wowee we wa' from this guy. The miss was so good that people immediately started calling it the best missed dunk of all-time. You be the judge. 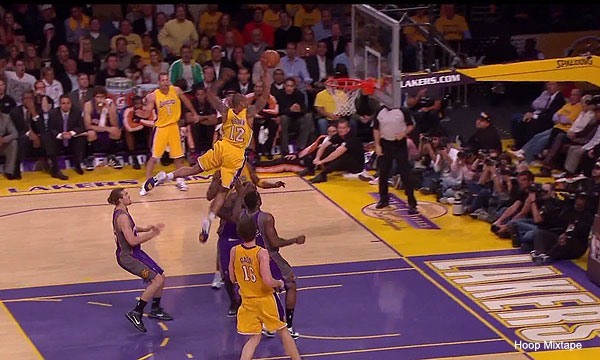 Either way, I'd offer up that this missed dunk provided some of the most amazing pictures in the history of dunking." Greatest miss in the history of dunking? Could be Shannon Brown... or how about Vince Carter? Check out Carter's epic misses in the second video in the gallery below. Previously, Vince Carter Steals Guinness World Record from Dwight Howard. HowTo: Ace a Free Throw. 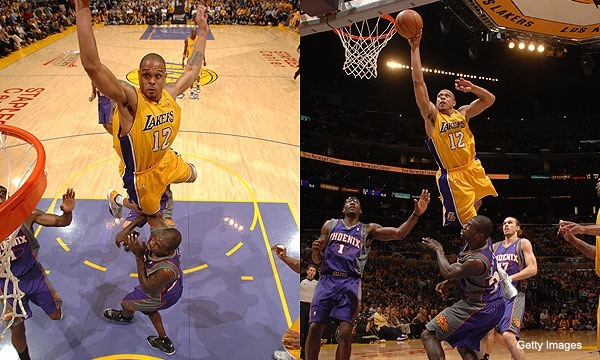 That's Shannon Brown for ya! 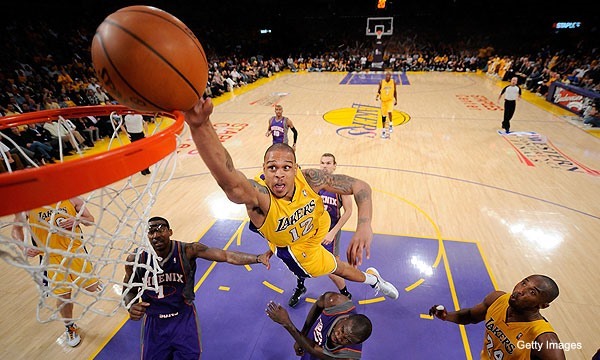 Now if he can bring that kind of energy to every game from now until the Finals, it will help the Lakers tremendously. Throw it down, little man! He's about 6'2, 6'3. But man can he take-off!